Mr. Mustachio has arrived on the iOS App store! The incredible feeling you get when your game is finally released on the App Store! The game was released on the store and on the first day itself over 1500+ grids were played by the players. This has given me tremendous encouragement and belief that it is step in the right direction. But the work is from far over and I am really looking forward to hear from the community on how to further improve the game. I am working on some updates as it is but actual feedback from the players is utmost important. I do hope you all try out the game and provide a review. 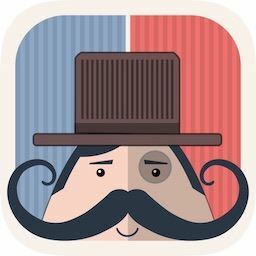 Mr. Mustachio is now also on ProductHunt. If you like the game and feel it is worthy, then do give it an upvote! ‘Mr. Mustachio’ at its heart, is a small and simple game. I have just used the basic addition subtraction concepts, put them in a grid, thrown in a few colors and somehow managed to relate it all to a moustache 😀 :D. Hopefully it has come out as a fun and challenging game. It can serve for educational purposes as well as for brain training exercises. While the young ones might appreciate it more, the game does offer 4 different difficulty levels, so it can be enjoyed by people of all ages! There is also a small Presskit that I put together which is available on the website. I can always be reached at through this link. Or directly mail me at contact@shobhitsamaria.com. Or you can hit me up on twitter – @samzgamz. Looking forward to hearing from you all.